Paul Hobbs Selections is the representation (in the USA) of the terroir and winemaking that have inspired Paul Hobbs during his extensive work in South America. The import agencies include Pulenta Estate (Mendoza, Argentina), Alto Limay (Patagonia, Argentina), and Familia Deicas (Uruguay). Founded in 1994, the portfolio includes a diverse selection of high-quality, terroir-representative wines from Argentina and Uruguay. The wineries share a similar ethos that Paul Hobbs maintains in his own projects - family owned estates, distinctive vineyard sites, a focus on authenticity and producing world class wines that are benchmarks in their region. Paul has worked as consultant for these wineries and vineyards, and is persistent in his efforts to share the wines with the US market. The Pulenta family has been making wine in Argentina since 1912, briefly after they arrived from Italy. The third generation, brothers Hugo and Eduardo, started Pulenta Estate in 2002 to produce small lots of exceptional wines from two pioneering vineyards their father Antonio planted in the early 80’s and 90’s, one in Alto Agrelo in Luján de Cuyo; the other one in Los Arboles, in Valle de Uco. The winery produces three lines: La Flor, Pulenta Estate and Pulenta Gran. All wines are 100% estate farmed with specific vineyard management for each line. Harvesting decisions at Pulenta seek ripeness with no traces of greenness, and right before any jammy notes develop, with a focus on balance and elegance. Alto Limay is the collaboration between Paul Hobbs Selections and Familia Schroeder to develop Patagonia Pinot Noir. This frontier winegrowing region, with short, sunny summers and low vigor soils is perfectly suited for Pinot Noir. The consistently windy conditions requires poplar tree windbreaks on all sides of each block and leads to thick-skinned berries with deep color and rich aromatics that yield expressive and nuanced wines. The vineyard is located in San Patricio del Chañar in the province of Neuquén, 380 miles south of Mendoza at 1,100 feet elevation. The Limay River brings snowmelt from the Andes, creating the only farming conditions in this otherwise desertic part of Patagonia. The sandy, silty soils are strewn with pebbles and rocks, on a base of limestone bedrock. The constant wind and well-drained soils contribute to the high evaporation rates that keep the yields naturally low. 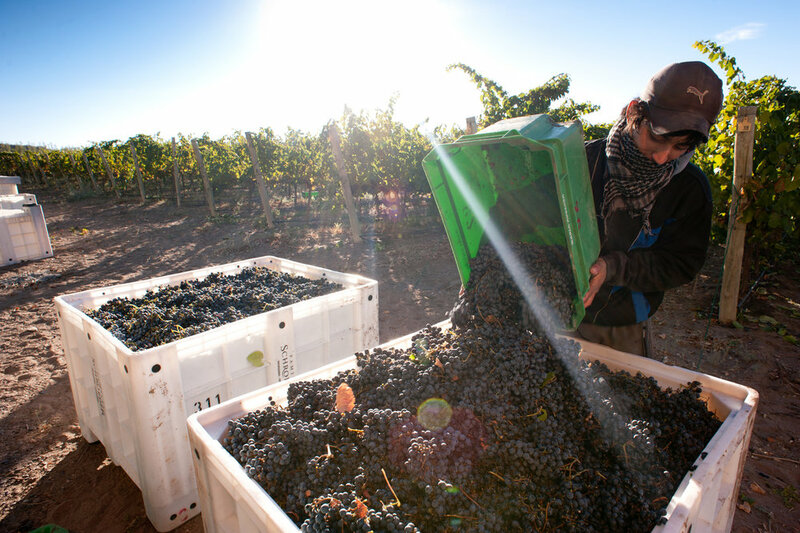 The Deicas family has dedicated the past 15 years to exploring new vineyard sites in Uruguay, leading to the development of new growing areas for tannat, the country’s emblematic varietal. The family vineyards are in close proximity to the Atlantic Ocean, where the maritime influence regulates ripening, allowing tannat to fully develop its aromas and phenolics, while retaining freshness. Santiago Deicas, winemaker and 3rd generation in the family winery, crafts dry-farmed tannats that are bold and fresh, with a sophisticated tannin structure.